HRC announced its endorsement of Oregon Governor Kate Brown in her bid for re-election. The announcement is the organization’s first gubernatorial endorsement for the critically important 2018 election cycle. Oregon is home to an estimated 158,000 eligible LGBTQ voters, and hundreds of thousands more allied voters. “I've been fighting for LGBTQ equality my entire career and am proud of our record of leadership,” said Governor Kate Brown. “I want to make Oregon an even better place to live, work and raise a family — no matter who you are, how you identify or who you love." 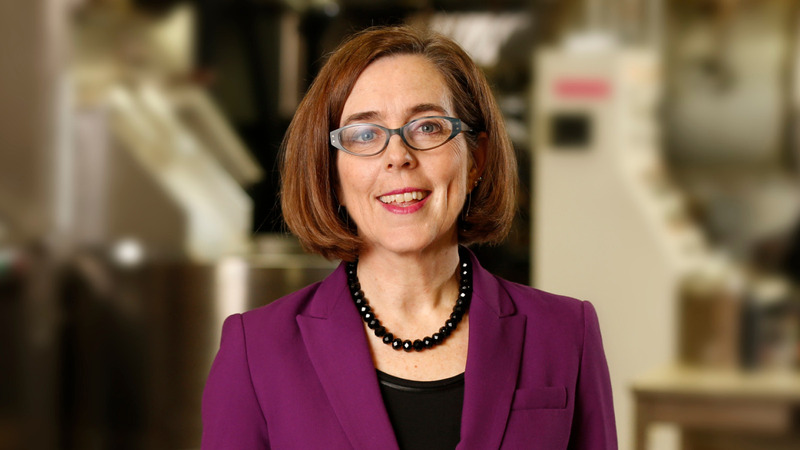 Governor Brown is the second female governor of Oregon and she was Oregon's first female senate majority leader. Under her leadership as governor, Oregon banned the dangerous practice of so-called “conversion therapy” for LGBTQ young people and extended critical protections for transgender students in Oregon schools. During her time as majority leader in the Oregon Senate, she played a key role in passing the state’s LGBTQ-inclusive non-discrimination law. She was also a leader in the fight to pass domestic partnership benefits prior to marriage equality reaching the state. HRC recently announced a bold, proactive grassroots expansion with the launch of HRC Rising — a campaign to accelerate progress in states from coast-to-coast, resist the politics of hate, fight anti-LGBTQ legislation, and fuel pro-equality candidates and initiatives. The expansion is the biggest strategic investment in the organization’s 37-year history.